In life we are constantly in search for our own accomplishments. We strive. We hustle, we push; we fail and we succeed. And yet so often we forget about all of the hands who were there to help us along the way; how many people stood in the background while we thundered through our moment of glory, basking in our own personal spotlight. Today I was so quickly reminded what a simple kind word or thoughtful gift could mean to someone in the midst of the struggle. Nothing will bring you back to reality like bonking at a physical fitness challenge. 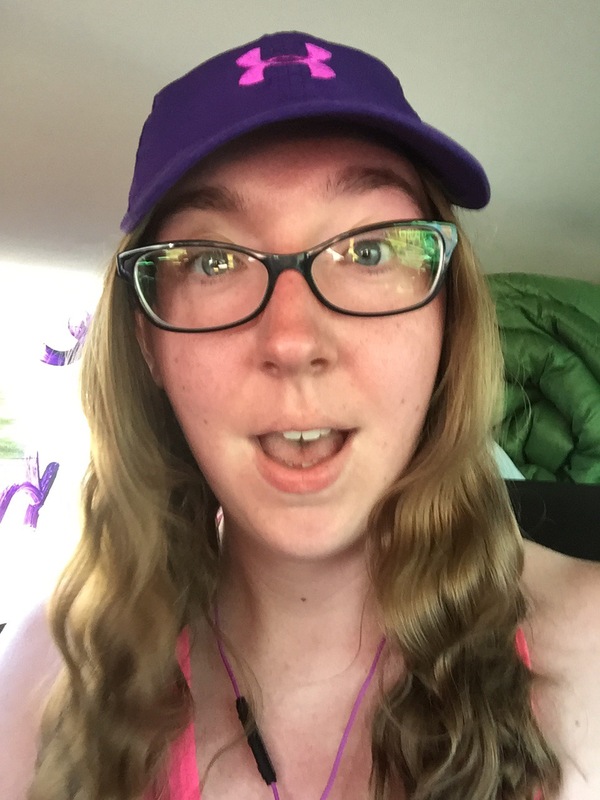 I am currently participating in Ragnar Relay- as I mentioned yesterday; two vans, twelve people, two hundred (ish) miles in two days and one night. I didn’t train like I should have, and thus- it has been a challenge, to put it mildly. I was terrified when my teammate showed up to our exchange full of energy and good vibes, slapped that bracelet on my wrist and sent me on my way to run my very first leg. You see, even though you sign up with large teams and spend your days in the company of five other people- the actual act of running is pretty solitary. It’s you and the road, two feet stomping pavement as you follow the signs (and other runners) to that ellusive exchange zone. You get to take your magic slap bracelet and tap someone else to begin their own portion of the journey. My leg was at 11:00, the day was hot, the wind was scarce and the sun was set to extra strength. In the first part of my run one of the officers patrolling the course actually stopped to ask me if I was okay. After explaining that yes, I was, and my face just always gets that red when I’m running, I trundled on my merry way. But the problem was- my body wasn’t ready for this sudden jolt of activity. I was not physically prepared for the challenge I signed up for. So I struggled, and I walked (a lot!). I pushed myself as hard as I could go as person after person passed me by (which is actually saying a lot because my speed walking if nothing to sneeze at). Every person who passed by called out words of encouragement; which made a big difference to me. They recognized my struggle (which can be embarrassing), but also acknowledged and appreciated the fact that I was still out there in pain, exhausted, sweating- and still putting one foot in front of the other at whatever pace I could muster. There is a difference in the type of support that people offer you; the officer, who meant well, approached me as if he didn’t think I could do it, concerned for my safety he wanted to make sure I was okay. This is something I deeply appreciate, but his lack of confidence in my abilities forced me to question what I was doing there that much more. It took the winds out of my ebbing sails. And yet the other runners out there never once questioned my ability to be ranked amongst their numbers; they saw the exact same stuggle as that officer, but they approached me as if me finishing that leg was a guarantee. They had faith that I could do it because I wanted to do it. They had no hesitation when they offered me their simple unwavering support. And then there was the van of amazing women who completely changed the tone of my first leg. They had a runner on the road who was consistently near me, so they would pass me and see me as they waited for her. Instead of only caring for their own person, they paid attention to me as well. Even going so far as to pull over to ask me if I needed a little bit of water. This may not sound like much, but it was exactly what I needed at the perfect time. I was hitting a wall and wondering why the hell I had even signed up- and their words of encouragement a small gift of water completely changed my perspective. It reinvigorated my body and soul for the road that was still winding ahead of me. There are moments in our lives when we are the runner, and there are times when we are the cheerleaders. Both are vitally important. Just a small act of kindness, a tiny nod of encouragement can morph a struggle into a beautiful experience. Without the people on that road pushing me forward, the mental struggle I was waging could have easily changed my entire experience. When you are standing on the sidelines in someone else’s story, never forget how important the supporting characters can be. Always offer a kind word; you never know if that will be the tipping point that will propel them to greatness. And when you are standing in the spotlight, carrying the show- don’t forget all of those people standing behind you who have helped you on your path. Don’t let them forget that they are a big part of the reason you are standing where you are. So to everyone who yells out words of encouragement to friends and strangers alike; to all of you out there who rang your cowbells and cheered me on as I pushed past my own endurance- thank you. To the man with the rainbow shorts, long beard and no shirt- you made my day with your encouraging words and contagious enthusiasm. And to the ladies of the black and pink van who stopped to help a runner in need of both physical and emotional replenishment- thank you, I would not have had the same experience without you. You are truly inspiring, thank you for welcoming me to this amazing adventure.